A look at the retail version of Tiger Woods' TaylorMade P7TW irons. Matt Bovee, TaylorMade’s senior manager for the irons product category, figured building a set of irons for Tiger Woods wouldn’t be all that difficult. Early on during the creation of the company’s P7TW irons, it didn’t take him long to realize the process was going to be a bit more arduous than he anticipated. The thing is, Woods notices everything. He picked up on a different alloy used in an initial prototype that differed from what he’d used previously. He could also tell something was amiss when the center of gravity (CG) location within the head was off … by 1/10 of a millimeter. Woods’ hyper-sensitivity is unmatched when it comes to picking up on subtle differences from one club to the next. It’s one of the reasons why TaylorMade went all-out with P7TW — better known as the follow-up version to the TW-Phase1 irons Woods used for the second half of 2018 — creating nine design iterations before Woods gave the current version his blessing. Now TaylorMade is bringing Woods’ exact P7TW irons to retail for the first time. As you’d imagine, Woods’ irons are incredibly unique. Housed inside the traditional muscleback profile are tungsten slugs designed to do more than just achieve a specific CG location within each head. 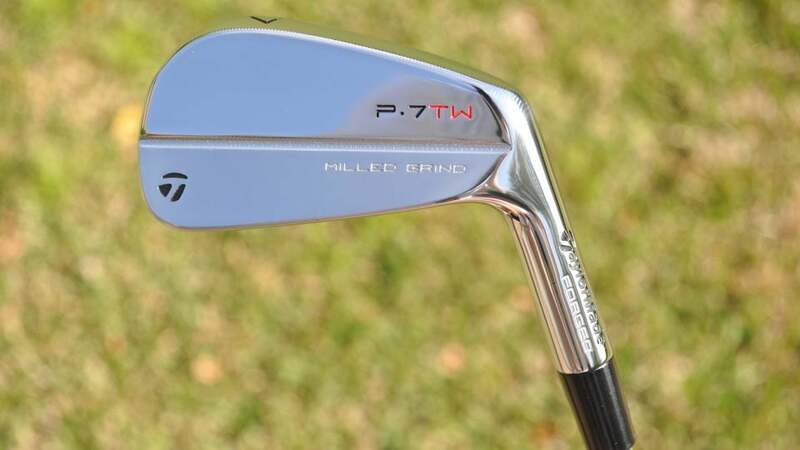 TaylorMade's P7TW irons are the first to incorporate the company's Milled Grind sole. According to Bovee, Woods has the tungsten positioned in each club to produce a specific combination of flight, feel and control he’s come to rely on over the years. One interesting nugget is that the CG in Woods’ set actually progresses toeward in the short irons. “Tiger’s ability to perceive small differences in the iron heads is absolutely astounding,” Bovee said. “He has the most acute feel of any tour player we’ve ever worked with. He grinds over every detail and wants them to be perfect. We took that challenge and said, ‘Hey, we’re gonna get there. 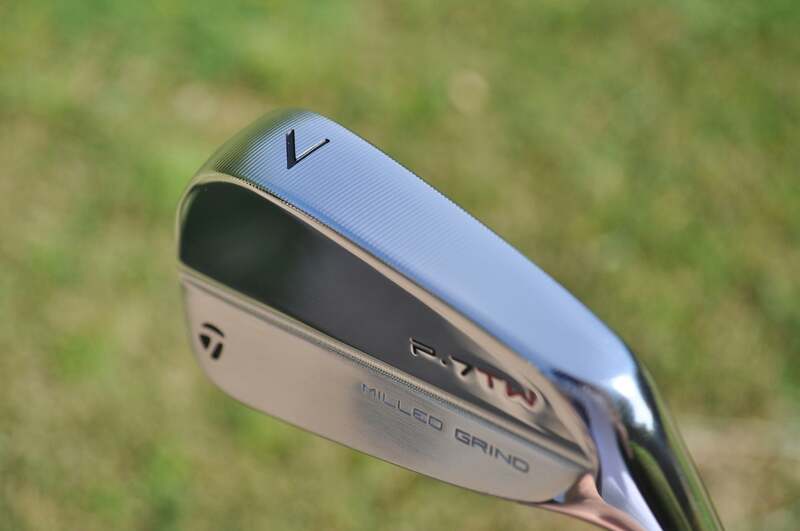 If you were to compare Woods’ P7TW irons to TaylorMade’s current P730 muscleback offering, you’d notice a few differences, beginning with the Milled Grind sole — the first iron time the company has used the same CNC milling process on something other than a wedge. For Woods, the Milled Grind sole helped eliminate variations from “head-to-head and set-to-set” that sometimes left him to comb through upwards of 8-10 sets to find a suitable iron setup. 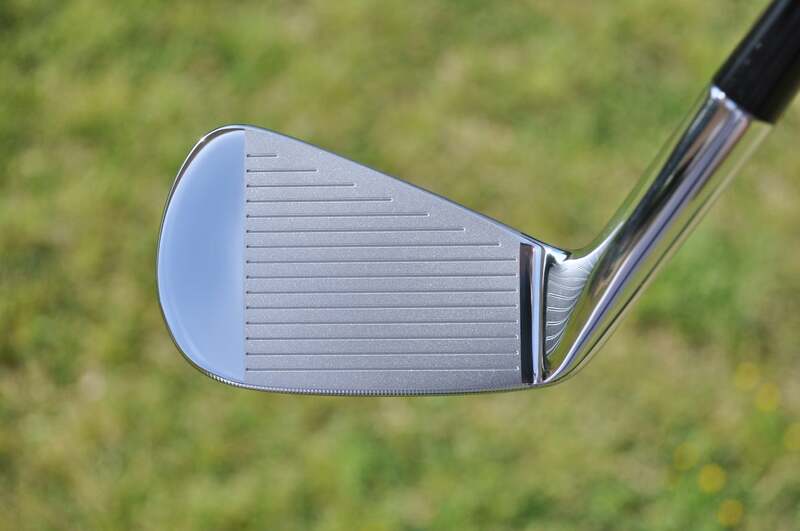 The P7TW blade length is also slightly longer than what’s currently found on P730, and in some instances, the hosel length is shorter (3 millimeters shorter in the pitching wedges). The lie angle was also flattened across the board to match Woods’ setup. “The flat lie angle was done in the spirit of what Tiger is playing, but it’s certainly something that can be corrected if you don’t play something that flat but want to play the irons,” Bovee said. 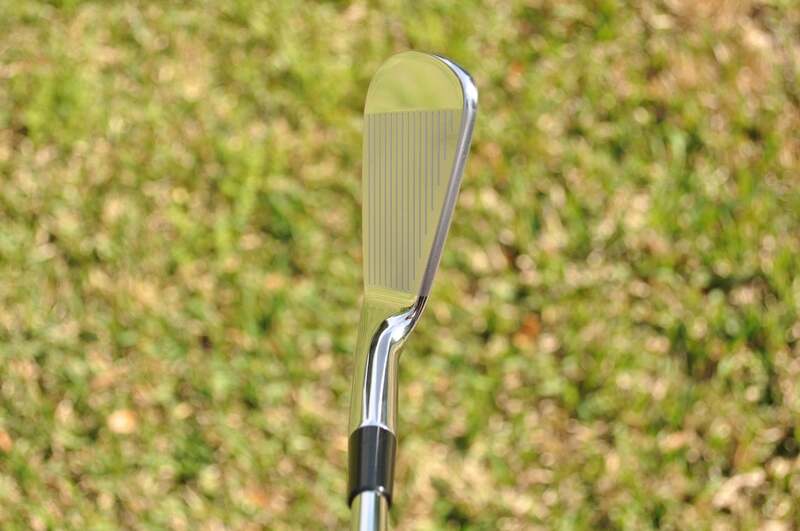 TaylorMade's P7TW irons from the face-on position. The scoreline height was also raised to accommodate the additional scorelines Woods prefers. As someone who likes to hit a certain window with more spin, the grooves are narrower and more aggressive than what TaylorMade has used in recent years. From an offset standpoint, each head matches up to what Woods is currently using. What makes his setup unique is that, unlike a traditional set, the offset doesn’t reduce from club to club. 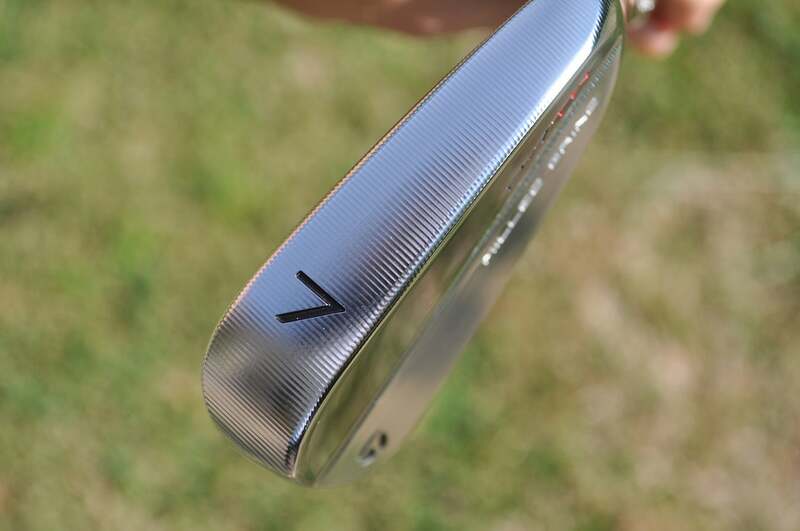 Instead, Woods’ 4, 5 and 6 irons have roughly the same amount of offset before it drops off with the 7, 8 and 9 irons. Each head is made from 1025 carbon steel and undergoes a CNC milling process that lasts almost one hour, even though the clubs are forged. The lengthy process further reinforces the lengths TaylorMade went to to get P7TW in Woods’ hands before green-lighting them for retail. A look at the retail version of Tiger Woods' TaylorMade P7TW irons from the address position. The number font on the sole was also increased in size with a heavier line weight, based on Woods’ request. He believes the larger numbers are easier to read and eliminate the possibility of pulling the wrong club in a pressure situation. The only place where the retail P7TW and Woods’ personal irons deviate is in the loft department. The retail version will have strengthened lofts that are in line with what’s currently found on P730. TaylorMade’s P7TW (right-handed only) will be available for pre-order May 1 and retail for $2,000 (3-PW). The set comes in a special edition box that was a collaboration between Woods and TaylorMade. The stock shaft is True Temper’s Dynamic Gold Tour Issue S400, but X100 and numerous other options will also be available with no upcharge. 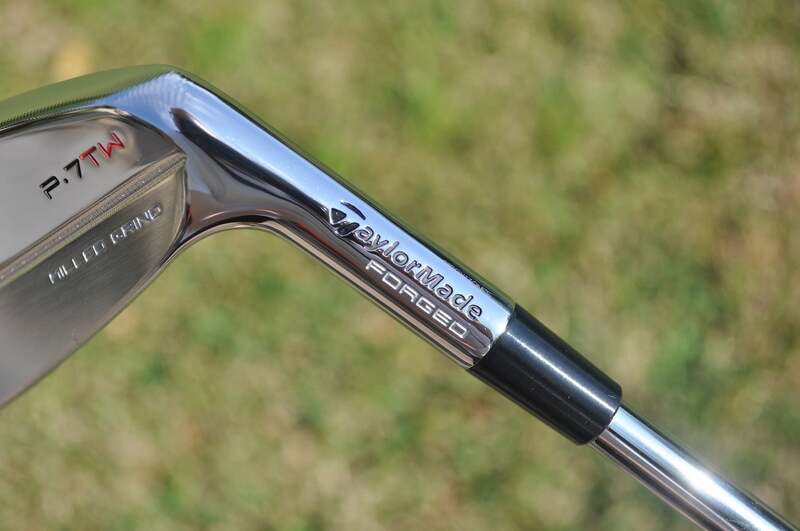 A look at the hosel of TaylorMade's P7TW irons. 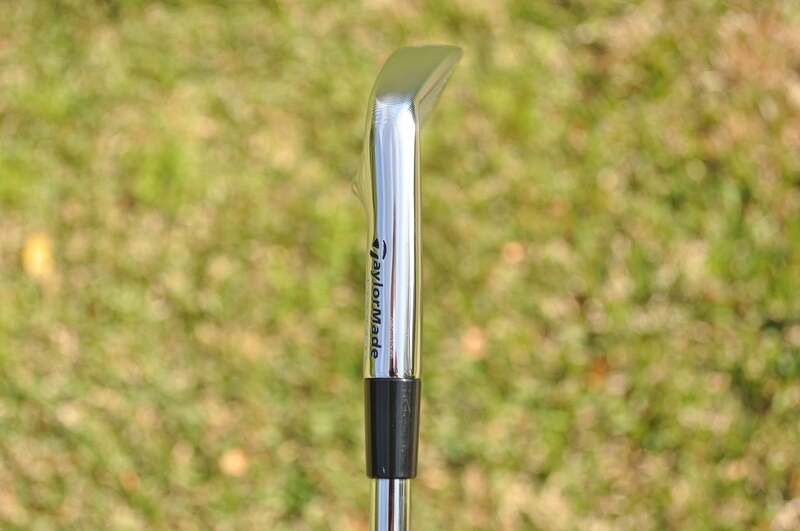 Another look at the hosel of TaylorMade's P7TW irons. With Tiger Woods' feedback the number is larger on the sole. 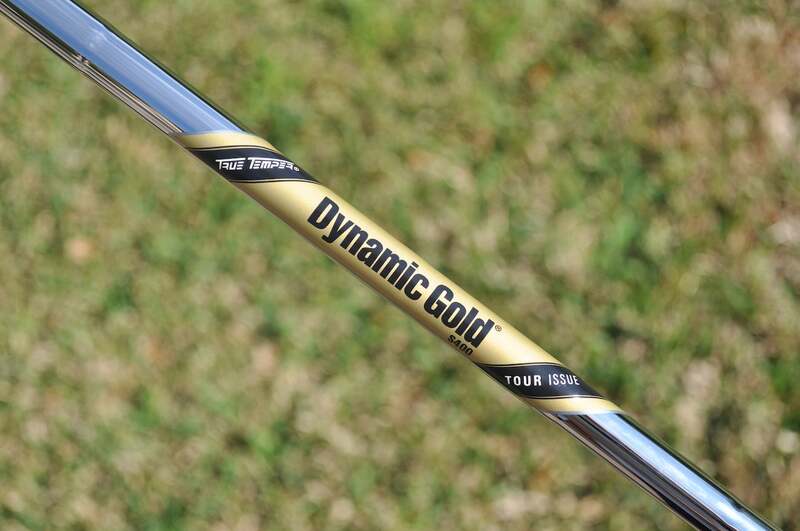 The stock shaft offered is True Temper's Dynamic Gold Tour Issue S400 shaft. 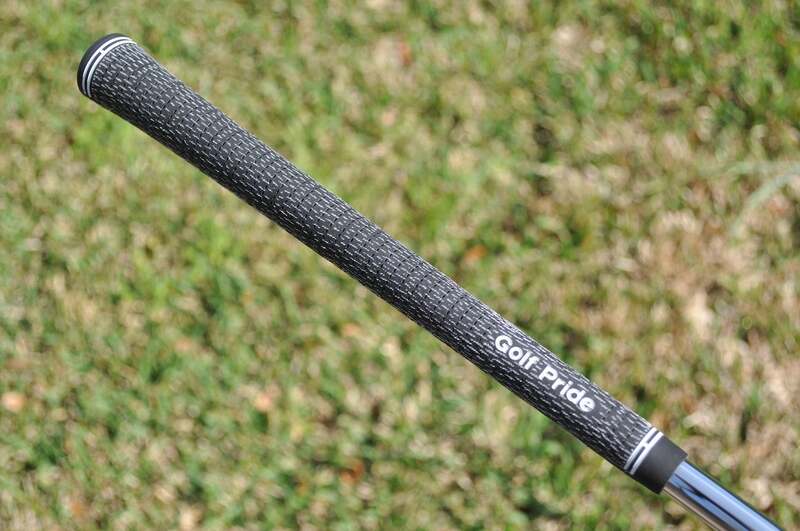 Tiger Woods' Golf Pride Tour Velvet cord grip.